The pricing crisis of the South African wine industry worked its way towards a climax at Cape Wine 2018 earlier this month. 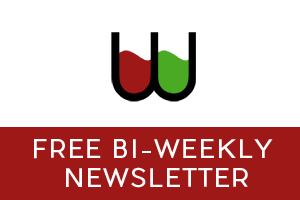 DGB released a video clip entitled “The Inconvenient Truth about South African Wine” (directed mainly to foreign buyers, but equally applicable to the local trade) which made it clear that at current price points, much of the industry is unsustainable. The numbers speak for themselves: in the local market, according to market research company Nielsen, well over half our bottled (not bag-in-the-box) wines sell to consumers for under R40. The category deemed “ultra-premium” (red wines above R125 and white wines over R96) represents 5% of bottled wine sales and under 2% of the total wine market. Our exports are not adding any sheen to the message: most of what leaves our shores is shipped in bulk. Meanwhile over half a million cases of Australia’s 94m case total export brings in over R6000 per dozen – twelve times more than our average export price point in our biggest international market. A remarkable 22 000 cases of Australian export wine earns R20k per case or more for their producers. It was into this witch’s cauldron of unhappiness there appeared what some people thought was a heaven-sent antidote – news that a Cape wine has, for the first time, been awarded a perfect 100 point score, from a credible international critic (Tim Atkin MW – see here). No wonder the partying at Cape Wine took off on the extra octane: if we have wines that rank with the best in the world, so the logic went, we can price accordingly. It was a tempting prospect, plausible until the morning after. Even assuming the 100 point score was realistic, it can’t do much to change the low centre of gravity afflicting our wine prices. It may temporarily nudge demand, which in return will make it possible for players at the very top end to ratchet up their hard currency pricing. It won’t change our dependence on bulk buyers, it won’t increase our volumes or our prices in the markets we’ve allowed to become addicted to cheap South African wine traded in ever weaker Rands. The only two countries where South Africa sells more wine than Australia are Germany and the Netherlands. Both are notoriously cheap wine markets, which is no doubt why our Antipodean competitors are happy to leave them to us. Our wines have been getting better every year. We know they have long been under-valued. Now, with Tim Atkin’s 100 point rating for one wine (and two at 99 points) at least a few have been over-scored. There’s a certain justice in this. However, before we get carried away with the excitement, this is not like Kevin Anderson winning at Wimbledon or Louis Oosthuizen bagging the Claret Jug. This is a result arrived at in a sighted tasting environment by a single critic who has made a speciality of South Africa. It is hard to escape the image of the nice people from Europe arriving in their tall ships with their beads and trinkets to buy Manhattan Island. Pause for a moment to consider the cynical symmetry of the top tier scores in Tim Atkins’s 2018 South African report. 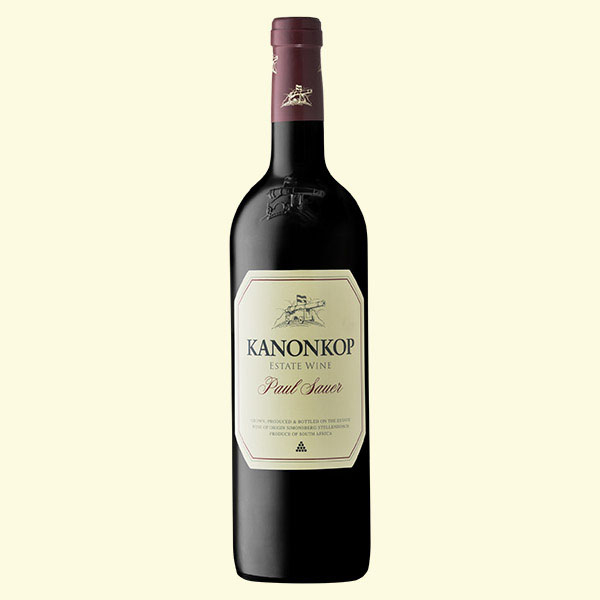 At the apex, we have Kanonkop’s Paul Sauer 2015 – the first SA wine to make the 100 point “perfect” score (read our review here). Just below this windswept peak of Everest we have Eben Sadie’s 2017 ‘T Voetpad, a close second at 99, alongside Chris Alheit’s 2017 Magnetic North. 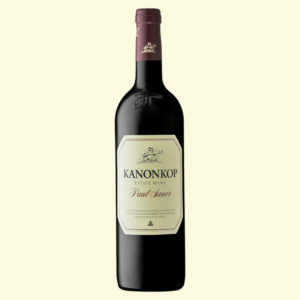 Kanonkop has long been regarded as our undisputed First Growth estate. Any credible ranking of top Cape wines would have to include the Paul Sauer. By the same token, Eben Sadie has been the pioneer of handcrafted single-site wine in South Africa. He is the recipient (in 2017) of the International Winemakers’ Winemaker Award – the highest peer group recognition in the world of wine. Something from his cellar would naturally have to be in the running. Chris Alheit has lately come to share this space with him, both from a site-specific wine perspective as well as in his role as an exponent of zero intervention “natural” winemaking. It’s a little too fairy tale, a little too fake, a little too self-serving: Tim Atkin putting a stake in the ground – not for South Africa – but for Tim Atkin. Five years ago Atkin’s highest SA wine score was probably 93 – and it was good enough to make everyone pay attention – to SA wine, to the producer in question, and to Tim Atkin as a critic. Since then a 93 score hardly raises an eyebrow: WineMag’s ratings over the same period have nudged upwards by two if not three points. We’ve all recalibrated a little. What used to be a noteworthy achievement – a score over 90 – makes little or no impression on a market which has watched score inflation/point devaluation track the Zimbabwean dollar to the depths of the Mariana Trench. In 2014 Atkin defended himself against accusations of ‘stratospheric scoring’ in his Bordeaux ratings. “To put my ‘inflated scores’ in context,” he wrote, “I gave two 100 point scores to Bordeaux 2009s (Lafite and Cheval Blanc) and none to the Brunello 2010s.” He argued that his scores for the 2014 Bordeaux vintage were not at a ‘preposterous level.’ “I was,” he said, “writing about the best wines from the best properties in the world’s leading fine wine region… in a good to very good vintage … with pockets of excellence.” His top four 2014s made it to 98 points. “In my life,” he said, “I think I have given fewer than a dozen perfect scores.” He certainly doesn’t appear to have awarded any wine of the much vaunted 2015 Bordeaux vintage a 100 points, though Petrus edged close enough at 99. Atkin will accuse me of cultural cringe, of not believing that we are worthy of a 100 point wine. He’s wrong about that. I can think of several mature wines that sit comfortably with the very best examples produced anywhere in the world. In this I am not alone: visitors to Cape Wine who were fortunate enough to attend the Tuesday night old wine tasting in Stellenbosch hosted by producer collective The Whole Bunch were effusive in their praise of these admittedly ancient treasures. One, at least, was ready to forward a couple of credible 100 point candidates from that evening. Atkin may say that it’s much easier to let the lapse of time do this for you, that the 100 point young wine is what the industry needs. On that same Tuesday evening at Cape Wine the Stellenbosch Cabernet Collective presented its 2015 Cabernets in a line-up which included a couple of very good 2015s from the Medoc – Chateau Leoville-Las Cases and Chateau Pichon Lalande. The Stellenbosch wines were pretty neat (as well we might expect them to be) but when the audience was asked to decide whether the Cape wines were better than the two clarets, the majority thought otherwise. These, incidentally, were wines which Atkin had scored 94 and 96 respectively. We so badly want to have an undisputed 100 point young wine. Presumably, this is what makes us ready to believe the well-sold fairy tale that in the past few years our wines have improved by 40% (the increment from Atkin’s base score to highest score 5 years ago, versus today). But deep down – or not so deep down – we should know this can’t possibly be the case. It’s difficult to accept that the Nirvana we have been offered may be nothing other than a second class view of heaven, paid for in discounted currency. No doubt this is what prompted so many otherwise thoughtful and intelligent producers to claim that this first 100 point score must be good for South Africa. I believe that we can either wallow in our “achievement” – like pre-school kids who all get a certificate at year-end prize giving – or we can refuse to be seduced by what is a cynical exploitation of our own frailty. We’ll get there one day, but not now, and not with counterfeit coinage. I agree with your thoughts on score creep. I felt a bit perplexed to hear that the top 3 wines had scored so highly where, in my admittedly amateur opinion, the two 99 point whites felt like they were no better than previous good vintages released. I haven’t tried the Paul Sauer to make a judgement. The 98 and 97’s from last year do look like a setup for the 100 and two 99’s from this year. I think our wines are great especially at the top end but the issue here isn’t whether we have quality but whether the scores from different years are good comparitive measures which they don’t seem to be. Deep inside I think many or most know that while the 2015 PS is a great wine, 100 points is more about making some sort of noise (for the benefit of SA, the critic, or both). This may indeed benefit SA wines on the whole (in the short term), but I had not thought of it in terms of capitalising on our ignorance and craving for international recognition, I suppose there is a case to be made for that. So yes, I do feel we have a right to question these scores from within SA. It is not cultural cringe, nor looking a gift horse in the mouth, it is about not being led to believe the emperor is fully clothed. We do drink foreign wines in SA and we do know where we stand, and so do foreign buyers. There is no doubt we have world class wines but if wines are being scored to compete with Australian wines where credibility has already been thrown under the bus, what will that do to our credibility in the long run? I did have a thought that perhaps Robert Parker’s 100 point score drew a line in the sand and aimed to achieve similar goals to Tim Atkins 100 point score for PS did. Is this a reasonable alternative viewpoint to explore? An excellent erudite eminently readable piece. One of my favourite of all local writers, he could make a post on the inside of a tennis ball sound so exciting you’d be rushing off to buy one. Thank you, dear Michael. 100 points for an SA red? That I cannot swallow! But I’d happily swallow 100 points for most of the Alheit chenins! No chenin produced anywhere in the world comes close to his wines. Sorry for the Loire – so where us the line in the sand drawn? Who/where sets the benchmark? It was only a mattet of time before someone called bedtime on this elated period after the 100 points release. The fact that it was MF doesnt surprise, his articles always carry a foreboding tone; this one is also laced with a tinge of bitterness, which is new. Obviously, 100 points is no panacea. I don’t think anyone actually thinks that. But it is better than not to have had it. And should anyone think this will enable complacency amoung SA’s elite winemakers, well, I won’t bother continue. From a bottom-down, no-one besides the biggest of wine companies (?) is trying harder to elevate brand SA. Perhaps we should also be considering the oppression from the top, that was so eagerly ignoring, and now, antagonising the SA wine industry? Kettle: Hello Pot, This is Kettle. Over. Pot: Hello Kettle, this is Pot receiving. Over. Are you judge or jury, Michael ? If you are a credible wine-writer or journalist (judge in this example), your commentary carries a certain relevance. When you are simultaneously a competition owner or organiser (jury), handing-out droves of medals and trophies, it appears unseemly to then call-out another commentator who outshines your accolades with a shinier one than yours. Chose: judge or jury. Then your condescension of a peer will have credibility and relevance. Until then : Pot, kettle, black. The annual piece by Michael Fridjhon criticising my South Africa Special Report is as predictable as the date of the spring equinox, if a good deal less welcome or enlightening. I have no wish to engage in ad hominem attacks on a fellow wine writer – they remind me of that Jorge Luis Borges quote about “two bald men fighting over a comb” – but I would like to respond to some of the inaccuracies and misrepresentations in his article. 1. “Five years ago, Atkin’s highest score was probably 93.” Actually in my first report, I gave two 97 point scores – to the first vintage of Chris Alheit’s Cartology and to Kanonkop Black Label Pinotage – and 38 wines out of 700 scored over 95 points. This year I tasted 1,986 wines and gave 160 95+ scores. The relative percentages are 5.42% and 8.84%. Score inflation? Actually, the percentage is down on my 2017 report. I also argue, I believe correctly, in my 2018 report that 2015 and 2017 are two of the best-ever Cape vintages. There are way more wineries making good wines than there were five years ago. Van Loggerenberg, Metzer and Lourens Family Wines, to name only three that did well in my 2018 report, didn’t even exist back then. 2. “40%…is the increment from Atkin’s base score to the highest score five years ago, versus today.” Again, incorrect. In 2013, as I’ve already said, my highest score was 97, the lowest 70 (for one wine). This year, the numbers were 100 and 78. So, a 27-point gap in 2013, and a 22-point gap in 2018. I’m no mathematician, but that’s an 18.5% difference. And I would indeed argue, without colonial condescension, that South Africa is making much better wines than it was in 2012/13. This statement is based on a month’s worth of tastings and visits every year, walking through vineyards and talking to producers. You should try it, Michael. 3. “It’s a little too fairy tale, a little too fake, a little too self-serving.” This of the 100-point and two 99-point wines in my report and my allegedly “cynical” focus on three amazing winemakers. Again, incorrect. I have been writing very enthusiastically about all three from the very start. Chris Alheit made my highest scoring white in 2013, 2014 and 2015, Eben Sadie was my overall winemaker of the year in 2015 and made my 2017 white of the year, Abrie Beeslaar was my winemaker of the year in 2016 and made my red wine of the year in 2017. I gave all three of their wines high scores this year because I fervently believe that they are world class. No cynicism, just a desire to recognise brilliance. And, unlike Michael, who (quite astonishingly for a top South African wine writer) has never visited his cellar, I go to see Eben every year. 4. “These, incidentally, were wines which Atkin had scored 94 and 96 respectively” (of 2015 Léoville-Las-Cases and Château Pichon-Lalande). This at least is true, but if Michael had read my extensive report on the vintage in Bordeaux (again, on my site), he would see that I considered it a mixed year. Personally, I prefer 2016. I also believe, obviously, that the 2015 Paul Sauer is a much better wine than both those 2015 Médoc Second Growths. Time will be the judge. Michael is welcome to his views on my report, although I wish he’d read the whole thing for once. But to accuse me of a “cynical exploitation of our own frailty” is insulting both to me and to his fellow countrymen. I love South Africa and I love its best wines. But to suggest that I would compromise a reputation built on 33 years of tasting and journalism (winning 34 awards in the process) and 30 visits to South Africa over 27 years to cash in on the industry is risible. If 2015 didn’t produce a 100-pointer we never will? So what if it’s score inflation, how much of wine marketing isn’t about smoke and mirrors? Meanwhile, Mr Fridjhon is trying to protect his (lucrative) turf. I’m with Alex and Derek and erm ..not sure about Ms Ballsack. As someone who sells a lot of wine, mostly South African, within South Africa, I’m regularly taken aback by the in-fighting and sniping amongst our local wine writers. It’s a shame as SA wine deserves much better commentators. Yes, point-scores are important. They’re not more important than concept, energy and passion though. Having just come from Noble Vice and Cape Wine I can state that all 3 are at an abundance and level I’ve not previously experienced here in SA. And it’s a two-way street. Producer to customer and vice-versa. So it’s not any surprise that we’re also seeing an increase in point-scores with our wines. There is a palpable energy right now. Despite the sobering financials of the “market” and wine farm balance sheets. We’ll only achieve the sort of price recalibration required by harnessing todays energy and building on it. I say this as I’m doing it. Every day, week, month, year. And it works. That we’ve gotten a situation where a senior local commentator (with over 35 years’ experience, nogal) has responded to an international peer rising in prominence locally by including personal and cynical attacks where only factual analysis should have occurred, is a shame and something we could be collectively embarrassed about. But probably shouldn’t. Points analysis and reflection aside, Tim Atkin (who I am yet to meet) has also caught our “energy”. Let’s not let someones attempt at extinguishing our vinous combustion with ill mannered verbal urination knock us off course (to Manhattan or anywhere else). Totally agree with with Jonathan and others. This is just a bitter condescending tirade by Michael Fridjhon that serves no-one or any purpose. However, of note, the following estates chose not to enter into the Old Mutual Wine Trophy Show for 2018: Kanonkop, Hartenberg, Rust en Vrede, Beeslaar, Saronsberg, Sadie Family Wines, David & Nadia Sadie, Thorne and Daughters, Creation, Mullinieux, Storm, Hamilton Russell, Savage,Shannon, Raats Family Wines, Rijks, Groot Constantia, Constantia Glen, Boekenhoutskloof, Chamonix, De Trafford, Waterford, Waterkloof, Kershaw and, and…. I turn to agree in many ways with Michael. Now my question for Tim Atkins is: Are you rating SA wines higher points versus what they were a few years ago or do you score them with exactly the same criteria of exigence as how the best wines in the World (mainly French but not only) are scored? If the later, I am becoming very sceptical of your scoring. I will take a concrete exemple with Lafite or Petrus or Mouton 2015 but I could select hundreds of others. There is absolutely no chance any SA red wine today even in a vintage like 2015 can come close to the finesse and elegance that top Bordeaux and Burgundy wines can deliver after 10 years of proper storage. This is why and for still a long time, there is no overseas interest for SA top end wines as investment market. I would rather drink a good cru Bourgeois 2009 or 2010 anyday than the most awarded SA Red wine. People should try to make the experience at buying some of these older vintages available at Wine Cellar and you will understand what I am talking about. I am talking proper good Bordeaux between R500 and R900 already mature to drink. Each time I have wine dinners with some of the biggest private wine buyers in this country, we mix the creme de la creme of SA wines in older vintages with some good Bordeaux Cru Classes or equivalent and inevitably the same conclusion emerges. Yes, Gilles, I score with the same degree of “exigence”, as you put it, all over the world. From your name and use of a French word, I suspect that you are from La Belle France and maybe just a little bit of a patriot. I love the wines of Burgundy and Bordeaux too (I write reports on both places), as well as those of Rioja, Barolo, Dão, the Jura, Santorini and the Mosel among others, but I don’t subscribe to the view that only Europe has the right to make amazing wines. Sorry about that. You clearly think Bordeaux makes the greatest wines on the planet. I, for my part, firmly believe that the best South African wines are world class too and deserve to be considered in the same league as the best wines of Europe. It’s my right to air my opinion, based on thirty three years’ of experience, as it is yours to disagree with it and drink whatever gives you pleasure. No one is forcing you to buy my report or follow my ratings and recommendations. The Trophy Wine Show might be more your kind of thing. In the event we hold at Lismore every year, where a group of us blind taste the best of South Africa against competing wines from elsewhere, the Cape regularly comes out on top. You like potato and I like potahto, as the Ella Fitzgerald song would have it. Thank you for taking the time to respond to my question which is much appreciated. Always a pleasure to exchange on difference of opinions. Yes I am French of course but I consider myself as one very open minded and wine educated French having been exposed to drinking wines from all over the world during the 9 years I spent living and working in the wine trade in the UAE. This has given me incredible opportunities to drink fantastic wines such as Kissler or Peter Michael or Domaine Verite from the US, Vina Cobos or top end wine from Bodega Zuccardi in Argentina as well as great Don Melchor or Clos Apalta (also a 100 pts btw) wines from Chile. All these New World wines have given me great emotions. Going back to the good old Europe, I also love wines from Alion or Pintia in Spain for example and yes some trophy wines from Italy like Sassicaia or La Spinetta and France of course but not just trophy wines. As you can see, I am not just a French wine drinker and there are plenty of mediocre ones as well in my country but unfortunately I never had great emotions on any SA red wines. Had a few “good’ 10 years old Syrah from Kevin Arnold or even La Motte Pierneef or even some reasonably good De Toren or Barond Edmond from Rupert since i like my Bordeaux blend, but nothing I call a “great” wine and gosh I have tried almost everything from the best names. Give me a Chateau Monbousquet 2009 or a Phelan Segur 2009 drunk recently any time over the best SA red wines. So I guess this is it, we have a different palate and a different taste in what emotions we are looking for when drinking a good red wine. Tim’s response to my article makes several good points – though to suggest that he doesn’t wish to engage in an ad hominem attack (which he promptly does by, amongst other things, suggesting I’ve never visited Eben’s cellar, which I obviously have) is disingenuous. At least, to his credit, he has not suggested (as Alex Dale, Jonathan Snashall and the semi-anonymous Derek have) that my motivation for highlighting the score inflation is driven by self-interest. Tim’s report is a valuable reference point – whether or not you agree with his scoring or with his classifications. There is nothing like it and I’ve never thought of him as a competitor, but rather as a colleague. He’s correct that if you take his score range from his very lowest to his very highest, the percentage variances are lower than I indicated. If, however, you look at the weighting of scores (in other words, take off the one wine scored at 70), the percentage increase has been dramatic over the period a few years. While we both agree that South African wines have improved significantly in this time, it’s impossible to deny the exaggerated impact of inflationary scoring. He also chooses, for obvious reasons, to miss the point made about the cynical symmetry of his three top scores. Of course they were allocated to producers he has admired consistently. Of course I too admire them and their wines. The fairy tale cynicism resides in his decision this year to fill out the apex of his scoring pyramid with their wines, allocating 100 points to one wine – to be the first critic to award an SA wine the “perfect” score – and 99 to two others. In the end, since the business of assessing the quality of a work of art is subjective, there will be punters who will rejoice in the news that we now have a number of wines in the very high 90s and one at a 100. The more thoughtful among them may ask if these scores, arrived at in a sighted environment, truly reflect the international calibration they appear to represent. I think there’s room for upward movement – even for these wines and these producers. I believe that in his rush to fill the very top floor of his apartment block, Tim has devalued the penthouse suite and will shortly have to deal with the problem of over-crowding. I feel that way more focus needs to fall on producers that have sustained business models, employ loads of people and put vineyards in the ground. I want hear a lot more about the Kleine Zalzes, Simonsigs, Badenhorst, Beyerskloof, Bosman, spier,saronsberg, Cederberg, kloovenberg etc. There is too much focus on individual winemakers/brands, this skews the curve. We forget that success of the industry lies in multi generational winemaking and we live to much in the present. We need more guys that can buy 1000T of grapes at R8000 than we need a few guys buying 50T at R15000. Maybe scoring should be divided into 2 categories, under 10 vintages and over 10 vintages. Under 10s should never score higher than 94. I like when you say “I feel that way more focus needs to fall on producers that have sustained business models, employ loads of people and put vineyards in the ground.”, Gert. But I agree with Kevin regarding the scoring. Scoring is difficult and imperfect enough as it is. It makes no sense to me to taste a wine that you genuinely think is worth, say 98, and then to give it four points less just because the wine is only in its 8th vintage. One should ALWAYS “taste what’s in the glass” on merit – it’s just more difficult to do this objectively when you know what wine it is. I stand to be corrected, but the statement is not factually correct, if you can believe Wine Cellar director Roland Peens as written on February 25, 2015. Wine Cellar director Roland Peens recently shared a bottle of the ‘legendary’ GS Cabernet 1966 with one of the UK’s foremost wine critics, Jancis Robinson, on her visit to South Africa. Described by US wine authority Wine Spectator as ‘the one true classic wine ever produced in South Africa’, James Molesworth awarded it a then-unprecedented 95 points. Jancis herself judged the wine to be ‘perfect’, scoring it at 20/20 in February 2015. It’s also a wine that not only brought tears to grown winemakers eyes, but also the first perfect score on the Fine Wine Safari and possibly the first ever de facto 100 point score for a South African still wine! Yes! Truly effortless class and so beautifully light on its feet with the most suave, polished tannin symmetry. I cannot think of a better expression of Paul Sauer than this 2015 in the past 25 years of tasting. This is possibly one of the finest South African red wines of my generation. Drink from 2022 to 2055+. Some of these questions were brought into a new perspective when I returned to my office to find a bottle of Penfold’s Bin 620 Cabernet Shiraz from Coonawarra freshly opened on a colleagues desk courtesy of a private client. This is a Wine Advocate 98/100 point wine as scored by Lisa Perrotti-Brown MW and retails currently in the UK market for £850 per bottle inc taxes (R16,575 pb). As I questioned at the Cape Wine 2018 Old Vine Seminar, the problem with South Africa’s premium wine offering is not their quality and certainly not their styles but more the fact that the wines are more appreciated overseas than they are in the local home market. South Africa’s finest crown jewels are all being exported because the local market, unlike Australia, USA or New Zealand is not comfortable paying the prices that these fine wines inevitably will need to sell for. Locals shy away from buying wines over R250 Rand (£12.99) a bottle let alone R16,000 Rand a bottle. The result is a two speed market where all the best offerings are exported to an appreciative, thirsty European audience while the home market scrapes the barrel like a fishy bottom feeder in a muddy pond trying to find the last undiscovered bargains. This needs to change…. Le Penseur’s input gives excellent and welcome context to the discussion. It also drains the boil of the invective contained in Michael’s original piece. In this research, as one would expect, local judge-and-jury Michael Fridjhon is not among the recognised tasters, though globally-relevant Tim Atkin MW is. The latter, interestingly, being one of the equal top 2 highest aggregated scorers, closely followed in 3rd spot by James Suckling. That in itself is an interesting observation and might add further context to the discussion. But the point remains that Michael’s article was designed to undermine Tim Atkin and his SA Report. An outsider, a Colonial nogal (as am I), is -through assiduous and consistent grunt work and in-depth research- building-up a following for his very thorough annual report, which is becoming a reference document on SA Wine Producers. 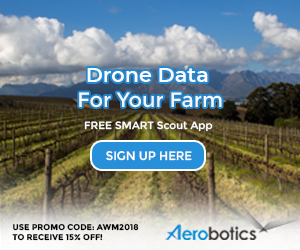 This challenges the relevance of the pay to play (and thus lucrative for its owners) Competition model -which incidentally many of the finest SA producers never participate in- and thus undermines the interests of anyone running or owning a competition. Being a wine writer / journalist, competition owner / runner, an importer and consultant, Michael cannot help but being self-serving, whether intentional or not. I personally think Michael is a brilliant mind and a very shrewd man, a leading intellect in our industry, but I also believe that the days of being able to pull so many strings in the local market are behind us. Perhaps the time has come to chose to be judge or jury, but not both…? SA wines have gone global and resisting change on this scale is like sticking to the fax in the internet era. Whether one agrees with Tim Atkin’s 100 point score, whether or not one agrees with his classification or whether one prefers the 20 point scale or the Platter Star scale, it is certain that the wines of the Cape have never been better. I also believe that the greats of Bordeaux and especially Burgundy (biased as I am -it’s human nature) still top the world -but they too have plenty of duds, even from the best. Just look at expensive hot vintages like 2009 or 2015 white Burgundy, collapsing after very little time, or the phenomenon of premox etc etc. Which lover of fine Burgundy has not been seriously short-changed by such disappointments ? Then there’s the argument that Bordeaux’s faustian pact with Parker stripped many ‘great’ Chateaux of their sole and turned their wines into me-too, surgically enhanced and terroir-deficient Points & Dollars junkies. The bottom line is that the wines of the Cape are starting to challenge on a global scale. Our 100 or 99 or 98 or 97 points wines, at least those I have tasted, tend to be far more balanced and drinkable than many I have tasted from elsewhere. Less chemistry, more wine. Less Parker more nature. That has to be a great thing and the Cape is certainly among the leaders in that respect. i just want to thank mr tim atkin and kanonkop for what they did for the sa wine industry. much appreciated. tim please dont let mr fridjhon put u off. thanks le pensuer for real good researched reply. tim im keeping my ps 2015 for at least 5 years more before im opening the first , haha then i will let u know in my humble opinion if its a 100 or more !!! in the past ive had plenty of kanonkop i wouldve rated 100..
Actually, it’s impossible to taste the top Bordeaux or Burgundies blind. Try it. I don’t taste blind in South Africa (although I do at Decanter and the IWC) because I want to taste in situ, walk around vineyards and, where possible, learn from winemakers. That’s good journalism in my view. Anyone who knows me will appreciate that this does not cloud my judgment. In fact, I would argue, it helps me to understand the wines better. And, Thandie, thanks for you positive comments. Most of the people I have spoken to or received emails from about my report have been very supportive and positive. Michael’s is pretty much a lone voice. And, as Alex makes clear, there are other agendas at play here. Let’s all agree to disagree and toast the future of South African wine. This is a civilized, but unnecessary spat between two great wine-men. Shake hands gentlemen, please, and agree to disagree. I have been amazed and saddened by some of the comments which followed Michael Fridjhon’s article which examined the score inflation in Tim Atkins’s 2018 report. I’m not an expert so I can’t comment about the arguments, though a couple of friends in the industry told me they thought it was a balanced and useful article. Looking at the comments, what stands out for me is that I don’t see any of the winemakers themselves commenting on this point in print. This also doesn’t help me to understand why the many people who have benefited from his generosity have been so quiet thus far. He raises nearly R1m annually for Rotary. Perhaps the members of the various Rotary clubs don’t read WineMag, but the wine producers who donate wines would have seen the article and the comments. Surely, they also know about the many unpaid projects he undertakes for the industry, such as the Hong Kong-Christies SA wine platform mentioned by Simon Tam at the Cabernet Collective function during Cape Wine. If I know that he subsidises the entire wine judging academy (apparently by over R100k annually) then so must some of its many graduates – but no one has said anything. Why is this at all relevant to the debate, you may ask? Well, if no one else will say this, then I must: it would be very wrong if Winemag’s readers were left with the impression created by Atkin, Dale and Penseur that Fridjhon does what he does out of self-interest. Le Penseur, you have a good memory, Some of this reminds me of Neil Pendock. Maybe Tim and Michael would at least agree on that. There’s two arguments in this thread. The first is the technical one about point scores. I’m simply not au fait enough to comment in that regard, other than both Michael and Tim making persuasive arguments for their own positions. The second is whether the original article crossed in to unpleasant territory with personal and risible attacks at Tim personally. Whilst Tim “gave as good as he got” I think any fair minded arbitrator would find Michael drew first blood in what was less than his most professional writings. I can’t help but reread this whole thread without the feeling that had Michael set out his case in the tone and manner in which he defended his position once the comments started, then there probably would not have been any unpleasantness in the first place. Michael took the bass line for a walk with his unfair attacks on Tim and his motivations. The speculation as to why was therefore perhaps inevitable. I’m connected to wine through marriage and consumption. But maybe my semi-outsider perspective will help? Stewart calls rightly for a handshake. I would go further and say an apology is owed to Tim first. At which point a handshake would be warranted. My! What a storm in a teacup.